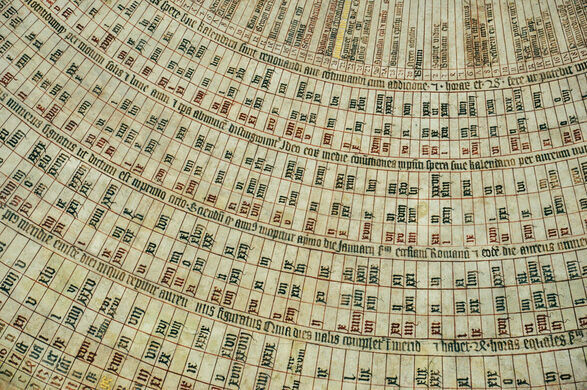 Covering the rotation of the sun, moon, and stars, the Gdansk Astronomical Clock inside the Polish St. Mary’s Church is more than your average historic timepiece, with a unusual legend to match. Built in the 1400s by clockmaker Hans Duringer, the elaborate clock is made almost entirely of wood. The clock tracks everything from the time of day, the position of the moon and sun in relation to the signs of the zodiac, and even a calendar of the saints. The work features three distinct tiers with a rotating parade of apostles, death, and the three kings that appear daily at noon at the top. 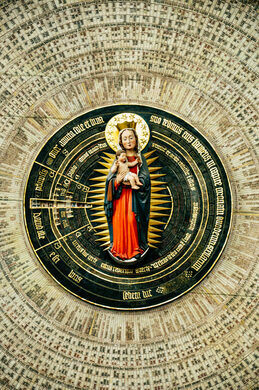 Beneath that feature, there is the intricate zodiac face, which in turn sits on top of the saints calendar. Each of the parts works with one another like, well… clockwork. Standing over 45 feet tall, the huge decoration may be the tallest wooden clock in the world. According to legend, Duringer was deliberately blinded by the authorities after completing the Gdansk Astronomical Clock so that he was unable to produce a clock of equal beauty anywhere else. However, Hans Duringer went on to complete another astronomical clock in a neighboring town, so the legend may not be as accurate as his clocks were. A stunning two-story timepiece within a medieval Brick Gothic church.